Setting and Accomplishing Goals - It is Easy as Pie! Home » Setting and Accomplishing Goals – It is Easy as Pie! Setting and Accomplishing Goals – It is Easy as Pie! The beginning of February is already here. Many people made New Year’s resolutions which have already gone by the wayside. We have talked a lot over the last couple of months about setting goals for 2019. What goals have you accomplished during the first month of the year? Are you already behind on those goals you set for yourself? For many years, I have given myself 10 goals for the year. These goals can be career oriented, personal in nature, related to physical or emotional health, or based on family, financial, or philanthropic. There are many areas to choose from – choose what is most important to you. I try to pick the four to six most important areas for me for the year and write my top 10 goals. I do this by asking myself a few questions: What things are going to be most important for me to move my life forward this year? Do I want to become healthier, grow my business, spend more time with my family, exercise more, or save more money? It can be any number of things. These questions form my top 10 goals. I then think of three to five action steps to pair with each goal, which allows me to process each one individually. It is not a random goal that I will reach if I can – it has action steps that will help me get to the goal. Now here is the crucial part of all of this – behind each of the top 10 goals you need to write a date. Pick a specific date of the year that you would like to have that goal accomplished. This forces you to put more parameters around your goal and make your goal something that will require you to stretch, but also one you can attain. Behind every single action item, you should also have a date to accomplish that action item. Think about it, every time you can check off one of those action items you are one step closer to your goal. Personally, this becomes such a strong visual for me! At the end of the year, when I have accomplished most, if not all, of my goals it allows me to look back and recognize the work that it took to get to the goal and feel the sense of accomplishment toward attaining it. One last caveat…when making your goals for the next year, if you have a goal you didn’t accomplish, reassess as maybe it wasn’t that important after all. And if it is but other things kept you from reaching that goal, move it to your number one goal for the next year and write new action items. Chances are, if you didn’t hit it the first year, you will reach it in the second. So, now is a good time to look at the month that has already passed us – are you keeping yourself in check? Are you moving toward accomplishing your goals or have you gotten sidetracked? One last little item – type these up, print them out, and put them in front of you so that you are looking at them every single day. The goals that are in front of us are the goals we work to achieve. 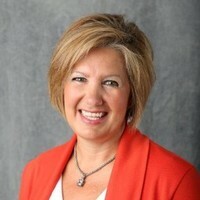 Barb has 22 years of experience in the staffing and recruiting industry. Within those years Barb has worked as an Account Manager, Recruiter, Branch Manager, Regional Manager, as well as Owner/Operator of her own staffing agency for 8 years. Barb began her career with Aureus Group in the Accounting and Finance division and has recently returned where she currently works as an Account Manager for Aureus Group’s IT/IS division. Barb’s passion and expertise lies with helping clients find quality talent that will make a difference for their organization, as well as building strong, long term relationships with her clients.